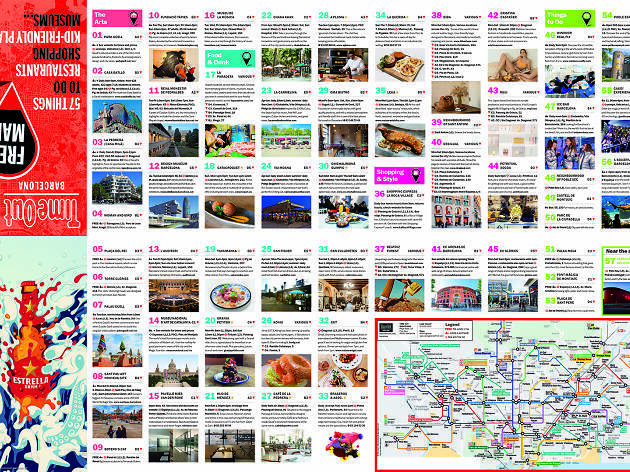 Discover Barcelona with the Time Out map! Worldwide icon-chevron-right Europe icon-chevron-right Spain icon-chevron-right Barcelona icon-chevron-right Discover Barcelona with the Time Out map! Visiting Barcelona for the first time? Out for a walk in the city? Looking for ideas on things to do and places to eat, shop and have fun? Check out our map online or download a PDF version now! We love discovering the best in gastronomy, entertainment and culture Barcelona has to offer. That's our philosophy at Time Out, a pioneer in providing cultural and entertainment guides since its inception in London in 1968, and which today is available in 108 cities in 39 countries. Our local readers in Barcelona know this very well and have been relying on us since 2008, when Time Out Barcelona was born. 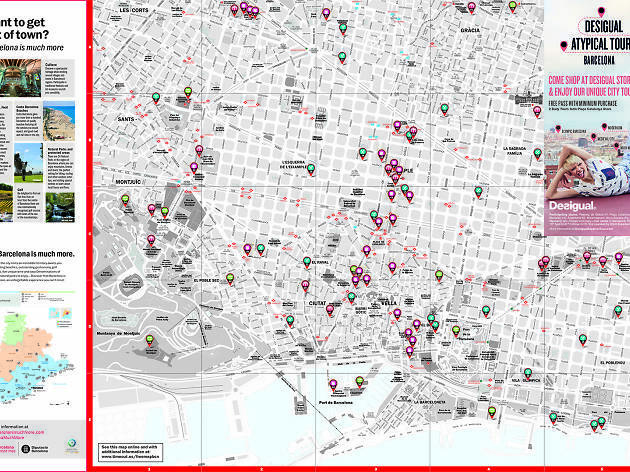 To make it easier for foreign residents and those who travel from abroad to get to know our city to the fullest, we also publish a FREE MAP by Time Out Barcelona, in English. We've mapped out things to do, a good selection of restaurants and bars chosen by our expert food and drink editors, a selection of the best shops, clubs, cultural tours, things to do with kids, and more. This is the online version, which you can zoom in on to see everything in more detail. You can also find the free print version in various locations around town, like Tourist Offices, museums and cultural centres, and four- and five-star hotels. Or you can opt to download the PDF version with just a click on the 'download' text below. It also includes a metro map so you can move easily around the city.Don't get caught saying you don't know what to do or where to go in Barcelona. The city is yours!